Let us discuss the possible reasons why you may need business financing and how to evaluate your need for financing. After growing your business for several months, you see potential to expand and gain more customers. One of the key strategies of expansion is the entry to new markets and operating in new geological areas. The entry to a new market will incur new expenses, regardless of what industry you are in. To illustrate this, the entry into a new market may mean the opening of a new outlet, purchase of new machinery or the hiring of more staff. A business is likely to see a large increase in expenses right before it starts expanding. Businesses may need funds for new projects, such as entry to a new market or opening of a new store in another location. Businesses can evaluate their projects with tools like Net Present Value (NPV) and Internal Rate of Return (IRR). Both of these tools help to measure the viability of the project and help the business owner determine whether the business opportunity outweighs the cost of debt. Asset building refers to investing in more assets such as human capital as well as physical assets such as machinery and equipment to ensure business growth. Consider the following scenario: Say you are a business owner producing a particular product and you are experiencing phenomenal sales. Even though you experience high demand for your product, your manufacturing equipment cannot accommodate the number of customer orders you are getting. When you are no longer able to deliver the orders to your customers by the scheduled time, you are likely to lose the sale and potentially the customer. There is also a possibility that your current profits may not allow you to purchase new equipment to increase your production capacity. Furthermore, to increase your production capacity, you may need to hire new staff, new equipment and additional inventory. If you are currently facing such a situation, you may want to consider taking on a loan to improve your production capacity. 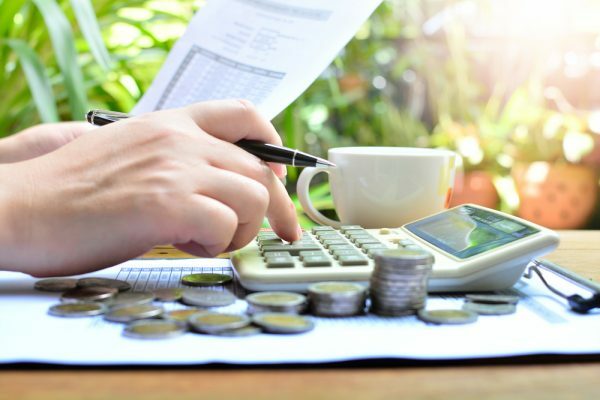 As mentioned in the previous instalment of this guide, understanding your revenue and expenses is the first step to having a healthy cash flow. As a business owner, especially of a small enterprise, a well-run and healthy cash flow is one of the most important elements of business growth. Businesses often encounter cash flow problems when their customers pay their invoices late. Late payments make it difficult for businesses to maintain operational costs, such as employee salary, electricity, water, rent, etc. You could consider a bridging loan to tide you over until you receive payments from your clients. Financing products like invoice financing can be the answer to such a situation.